Impressive property in the heart of quaint, downtown Melbourne just steps away from Community boat ramp and beach access at the other end of the street. 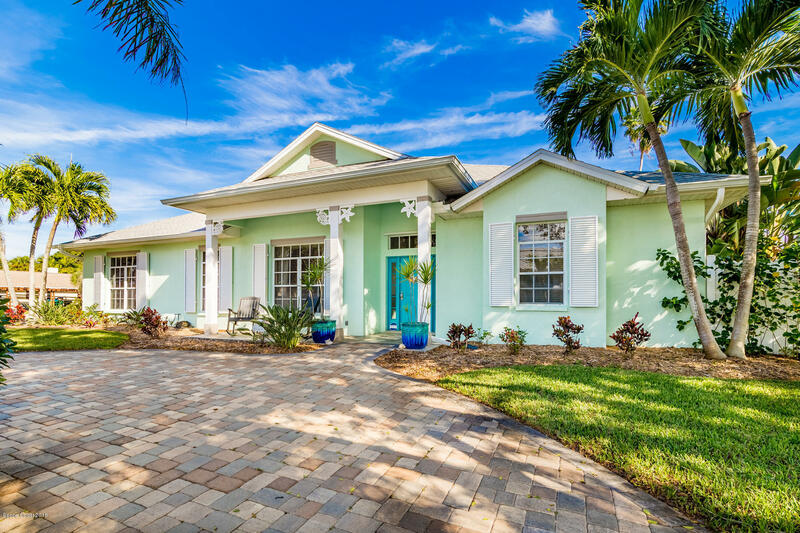 Rare 3 car garage, tropical, lagoon style, custom pool with large, privacy fenced yard. Many substantial recent upgrades include a new kitchen with beautiful, quartz counters and center island plus high end appliances, a brand new roof (10/18), pool heater, main electrical service, water heater, landscaping, freshly painted exterior, pool deck and garage floor and 2 paver driveways. This one is an absolute gem, so don't dilly dally !